College-level knowledge and professional certification are increasingly required for those who wish to work in the fitness industry, whether full- or part-time, in an athletic club, ski resort, or sports medicine facility. Knowledge of and professional certification in fitness instruction and programming also are of increasing value to allied health professionals who wish to augment their care or practice with the ability to prescribe exercise programs that address special medical needs. 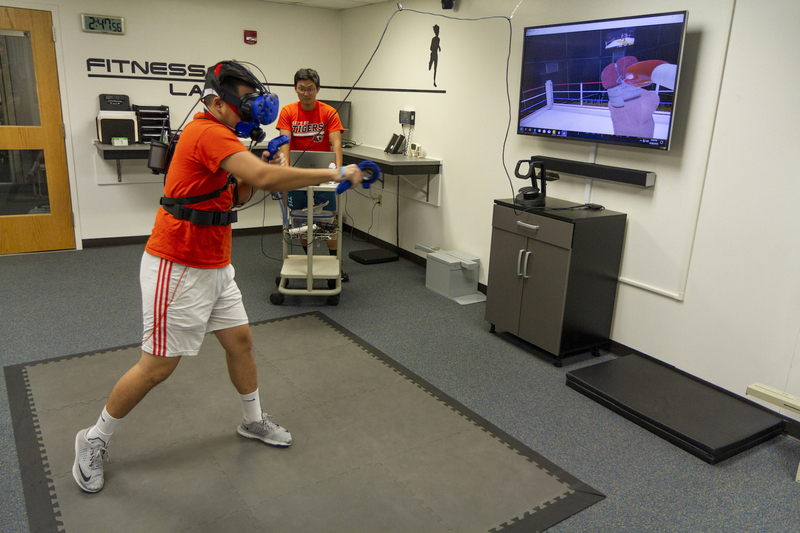 The certificate in exercise science covers the basic principles of exercise physiology, fitness assessment, the preparation of fitness programs and prescriptions, and the development of exercise prescriptions for individuals with medical or other significant limitations. Students who successfully complete all three courses are prepared to sit for professional certification examinations from the American College of Sports Medicine, American Council on Exercise, and the American Academy of Health and Fitness Professionals, as well as for certifications from the Cooper Institute for Aerobic Research, the National Academy of Sports Medicine, and a number of other recognized organizations.